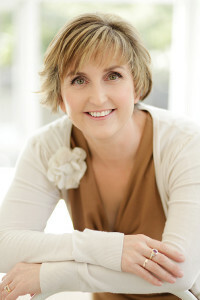 Dr Kelli Hale is an Accredited Practising Dietitian/Nutritionist and the founder and director of Good For You Nutrition. She is a ‘people-person’ and worked full-time in client-services/administration whilst completing her undergraduate science and dietetic studies at the Queensland University of Technology. Over the past fifteen years’ Kelli has become aware of the challenges in promoting sustainable healthy lifestyle behaviours. In fact, her primary motivation in commencing a PhD in 2012 was to develop more effective strategies for supporting adults with type 2 diabetes to self-manage their diet. Her research developed innovative approaches for increasing the feasibility and effectiveness of nutrition interventions in the primary care setting. Excited by the prospect of ‘making a difference’ in people’s lives, Kelli opened her first private clinic in Ipswich in 2000. Prior to this she had been working in a major Brisbane hospital (for one year) where she cared for people suffering from various chronic diseases such as diabetes, heart disease, cancer, obesity, kidney failure. At this time she realised that supporting individuals in their home environment was essential for achieving sustainable, healthy lifestyle behaviours. Since 2000 Kelli has remained passionate about her work in her private practice. She maintained her growing business whilst raising two children and working part-time in various other settings including hospitals, nursing homes, community health, public health, universities. Kelli is an expert in supporting individuals with chronic diseases to self-manage their diets. Also as an Accredited Practicing Dietitian, she is committed to providing a high standard of care and service. Through regular professional development, she is able to provide her clients with current, scientifically-based services and advice. Kelli is experienced and has up-to-date knowledge regarding nutritional management of most health conditions including diabetes, heart disease, gut conditions (including food intolerance), overweight/obesity, sports nutrition. As a mother of two young children she is truly familiar and has hands-on experience with maternal, infant and child nutrition. ​Kelli loves living life to the fullest and enjoys social exercise and spending time with family and friends. She believes that nutrition is immensely important for high quality of life but there is not one diet that fits all – food needs to be something that people are excited about and that they enjoy. Kelli has special interest in communication and motivational counselling for behaviour change. She takes great pleasure in being able to help others make changes to improve the quality of their lives through nutrition.